He graduated with honors from West Point earning the Royal Society of Arts Award for the most outstanding overall cadet in his class. Following graduation, he was commissioned in the US Army Corps of Engineers where he served with distinction in various command and staff positions for over 22 years, earning the rank of Colonel before retiring in 2002. He has led soldiers in combat. Among his military decorations are the Legion of Merit, Bronze Star, Purple Heart, and Master Parachutist badge. He has an MBA from the Harvard Business School, where he graduated with High Distinction as a Baker Scholar. Dr. Snook earned his Ph.D. from Harvard University in Organizational Behavior winning the Sage-Louis Pondy Best Dissertation Award from the Academy of Management for his study of the Friendly Fire Shootdown in Northern Iraq. 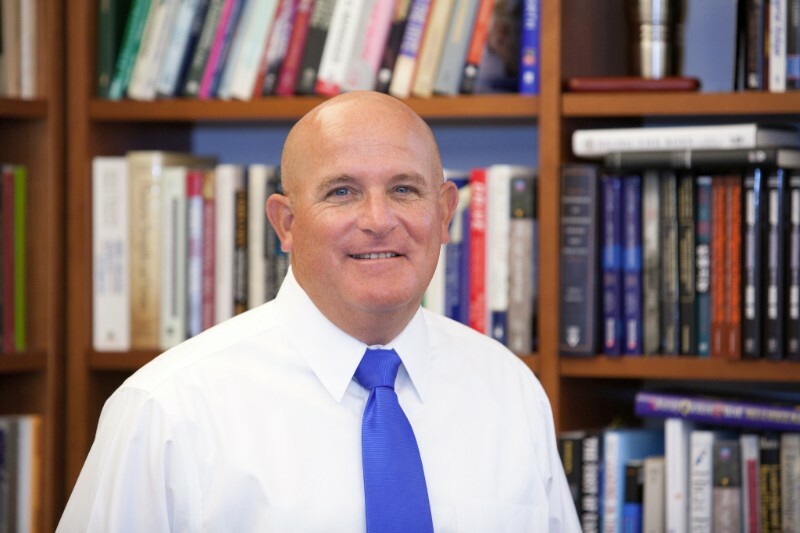 Until July of 2002, Colonel Snook served as an Academy Professor in the Behavioral Sciences and Leadership Department at the United States Military Academy. He also directed West Point's Center for Leadership and Organizations Research as well as its joint Master's Program in Leader Development. ​He is the primary author of West Point's Cadet Leader Development System - the Academy's philosophy on how to develop leaders of character for the Nation. Professor Snook's book, Friendly Fire was selected by the Academy of Management to receive the 2002 Terry Award as the most influential book on managerial thinking published during the past two years. He has also co-authored a book that explores the role of "common sense" in leadership titled, Practical Intelligence in Everyday Life, available from Cambridge University Press (2000). He most recently co-edited The Handbook for Teaching Leadership: Knowing, Doing, and Being available from SAGE Publications (2011). Professor Snook has shared his leadership insights in formal executive education programs at Harvard and with numerous corporate audiences around the world. Professor Snook's research and consulting activities have been in the areas of leadership, leader development, change management, organizational systems and failure, and culture. He currently lives in Concord, Massachusetts with his wife Kathleen and their five children. Snook, Scott, Nitin Nohria, and Rakesh Khurana, eds. The Handbook for Teaching Leadership: Knowing, Doing, and Being. Thousand Oaks, CA: Sage Publications, 2012. Sternberg, Robert J., George B. Forsythe, Jennifer Hedlund, Joseph A. Horvath, Richard K. Wagner, Wendy M. Williams, Scott A. Snook, and Elena L. Grigorenko. Practical Intelligence in Everyday Life. Cambridge, U.K.: Cambridge University Press, 2000. Snook, Scott A. "Love and Fear and the Modern Boss." Special Issue on HBS Centennial. Harvard Business Review 86, no. 1 (January 2008). Snook, Scott, and Paul T. Bartone. "Psychosocial Development and Leader Performance of Military Officer Cadets." Leadership Quarterly 18, no. 5 (October 2007): 490–504. Snook, Scott, and Rakesh Khurana. "Comments on Glenn Hubbard's Business, Knowledge, and Global Growth." Capitalism and Society 1, no. 3 (December 2006). Snook, Scott, Philip Lewis, Paul Bartone, Forsythe B. Forsythe, Craig Bullis, and Patrick Sweeney. "Identity Development During the College Years: Findings From the West Point Longitudinal Study." Journal of College Student Development 46, no. 4 (July–August 2005). Snook, Scott, Jennifer Hedlund, George B. Forsythe, Joseph A. Horvath, Wendy M. Williams, and Robert J. Sternberg. "Identifying and Assessing Tacit Knowledge: Understanding the Practical Intelligence of Military Leaders." Leadership Quarterly 14, no. 2 (April 2003): 117–140. This session is an interactive discussion that draws on Snook's thirty-plus years of experience as a leader, teacher and researcher. It is designed specifically to help participants discover "What it Takes to BE(come) a World Class Leader." The format for this developmental experience is multi-media interactive. Using a series of short video vignettes and personal stories, Snook argues that success is as much about "who you are," as it is about "what you know" and "what you can do". Drawing from the emerging fields of positive psychology and authentic leader development, Snook demonstrates the potential of this novel approach by introducing participants to a wide range of interesting characters from "The Happy Greeter" to General Schwarzkopf, and from Simon Cowell to Coach K.
Based on his experience teaching the highly popular Harvard Business School course titled "Authentic Leadership Development," Snook concludes the session with an inspirational story that pulls everything together by demonstrating the potential of being part of something bigger than self. Executive audiences around the world have found this experience to be both moving and useful as they struggle with the challenges of developing more authentic and effective leaders. This is a fast-paced, highly interactive session. Based on two short written cases, a series of powerful video clips and heavy audience participation, 'A Tale of Two Coaches' encourages participants to explore their most basic assumptions about human nature, motivation and leadership style. As participants compare, contrast and react to Bobby Knight and Mike Krzyzewski - mentor and mentee - they discover for themselves the fundamentals of effective leadership and development. Drawing from the latest research in the field of positive psychology and leader development, this session ends by challenging participants deeply held, but often unconscious beliefs about what really drives performance and development. By comparing two successful coaches with dramatically different leadership styles, the participants are encouraged to confront their basic assumptions about human nature and how these theories influence their approach to leading and following. Anchored by the classic case study of Jan Carlzon at Scandinavian Airlines (SAS), this session is a tour de force in the fundamentals of leading change. Don't let the date fool you, when it comes to leadership, what Carlzon did at SAS in the 1980s still contains everything you need to know about vision, alignment and motivation. How do you get 20,000 employees on the same sheet of music, moving the same direction? Supplemented by a series of powerful video clips, participants are encouraged to struggle with the central question: What kind of person does it take to do what he did? Comparing Jan Carlzon at SAS with Frank Borman at Eastern Airlines adds a layer of depth to the puzzle: How is it that during challenging times, why do some companies in the same industry thrive and survive, while others crash and burn? Scott Snook's presentation is centered around the tragic friendly fire shootdown that took place in Northern Iraq on 14 April 1994. It is a compelling case study of a complex organization where both leading and organizing failed in a big way, resulting in the unfortunate deaths of 26 peacekeepers. While the case emphasizes leadership and accountability, it does so while covering a wide range of important topics such as: coordination, cross-functional teams, human machine interface, risk, systems leadership, causality, training, inter-group conflict, culture, and integration. In the end, itâ€™s all about alignment - getting everyone on the same sheet of music, moving in the same direction, every day - and, what can happen when leaders fail to recognize the enormity of this challenge. The format for this developmental experience is multi-media interactive. By using a sequence of short video clips, I present the case real-time, gradually revealing a string of causal factors contributing to the shootdown - each one revealing a different leadership challenge in its own right. Audience members participate actively throughout as they struggle to make sense of this tragedy. In the end, I ask folks to tell me whom they would hold accountable and then reveal how the case actually played out. Executive audiences around the world have found this experience to be both moving and useful as they struggle with the challenges of leading in complex organizations.